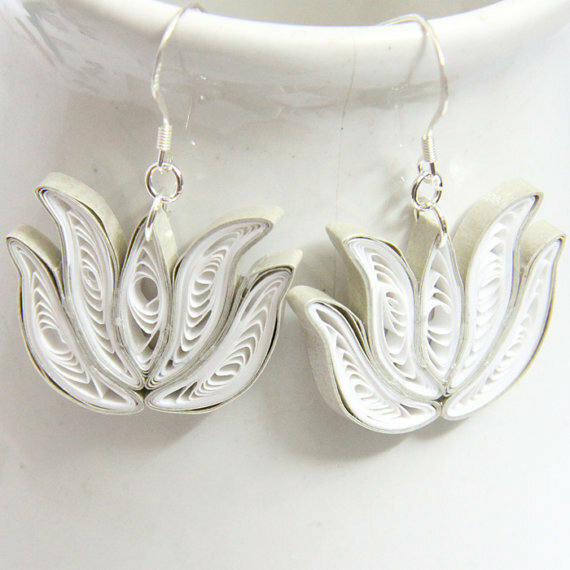 This gorgeous and fun pair of eco friendly white lotus earrings was handcrafted by the art of paper quilling. A unique gift for a loved one or yourself! They would be perfect for a bride or even as bridesmaid gifts. I can give a discount for a bulk order. They can also be made in any color combination you'd like! 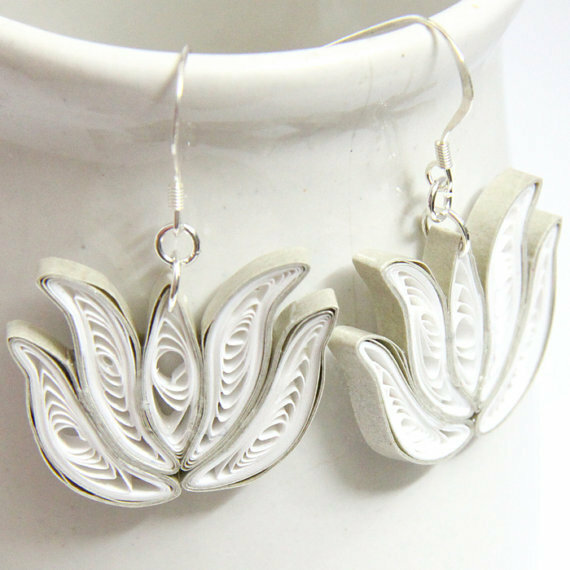 This pair is made with white and pale gold papers. *NOTE* This listing is for a MADE TO ORDER pair of earrings. Please allow a few days for me to make your special pair(s). The design and colors will be the same (unless you request different colors) but there may be very small variances as these are individually handmade by me. I carefully varnish them with non-toxic water-based sealants for a sturdy and water resistant finish. 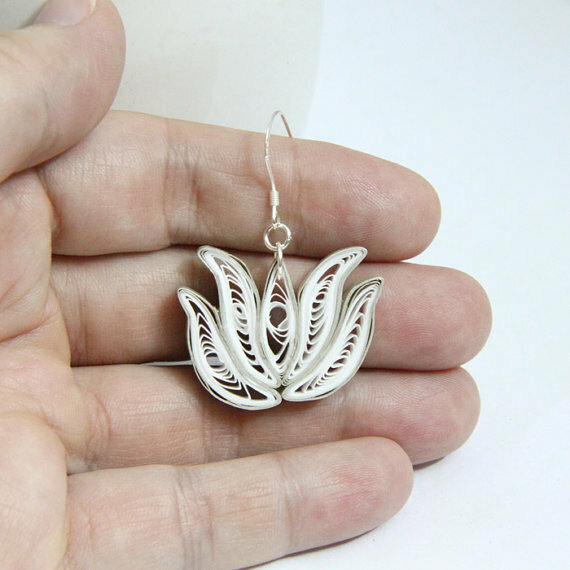 The ones in the photos are finished with sterling silver findings. 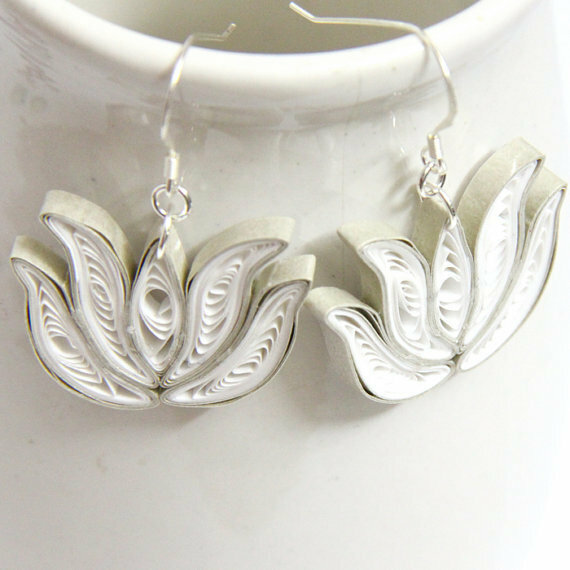 Yours will be finished with silver color high quality niobium findings. Why niobium? It is a metal that is non tarnish and is as hypoallergenic as pure gold. I use them for all of my jewelry and I know you will love them!